Open this book, and enter a realm where fantasy springs to life in dreamlike colors, luscious textures and graceful compositions. 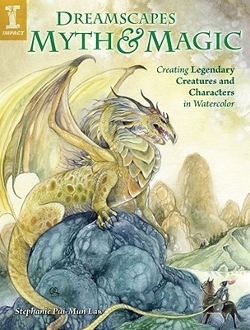 Continuing the journey of the original Dreamscapes, this second book by Stephanie Pui-Mun Law explores - in words and beautiful watercolor imagery - more legends of the sea, sky and earth. 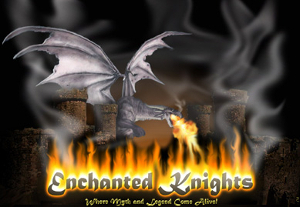 Learn Stephanie's secrets for calling forth maidens, mermaids and bewitching moonlight … for evoking dragons, enchantresses and tricksters … for turning seeds of legend and lore into spellbinding characters, creatures and settings. Follow along with 13 full step-by-step demonstrations to create unicorns, tree spirits, witches and other iconic fantasy figures. Discover a wealth of techniques for painting mermaid scales, Phoenix feathers, glowing dragon eyes, flowing gowns, silken hair and a host of other dazzling effects. Get inspired by the ancient origins and folktales behind each mystical being.